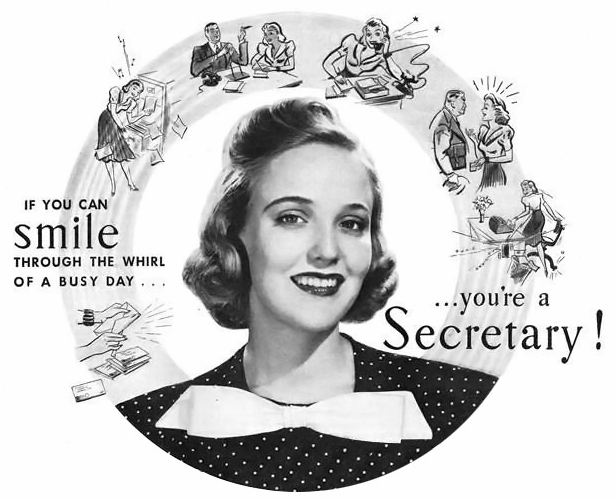 There was a Hallmark holiday I missed last Wednesday; "Secretary's Day" or as it is know now "Administrative Professionals Day". 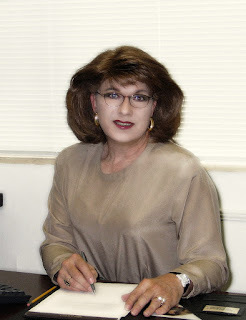 One of my jobs was as an Administrative Assistant. I was bored with early retirement and volunteered at a Palm Beach non-profit, filing, copying, and doing general computer work. The full time Administrative Assistant moved on to another job and I was offered the position. I was thrilled. The job continued for almost three years and not a day went by that I did not pinch myself to make sure I was not dreaming. Sure, over qualified and much of the work was routine, but every day - "all dressed up and somewhere to go". At one of our donor events, my boss insisted that my name tag read "Administrative Assistant" and secretly she knew I enjoyed that. After all the years on being the executive, it sure was fun to let someone else be in charge and not just pretend, but truly be on the other side of the divide. In more ways than one. The photo to right was taken 2005 in the Palm Beach office. You have got to love the big hair, and the silk blouse has buttons up the back. About a year into the job on "Administrative Professionals Day" my card read "You are the best", I got flowers, and was taken to lunch along with all of the other Administrative Assistants. A busy day at the diner. Down the hall in another office there was another assistant and when our bosses were out we would share a coffee and talk. We talked about being executive secretaries and really how much responsibility we had. 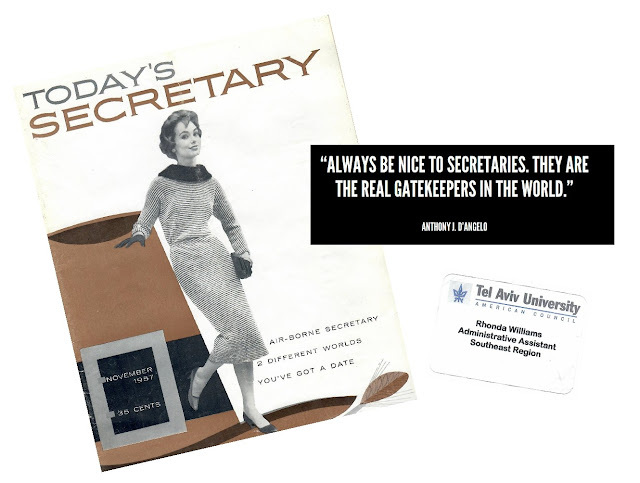 On eBay I purchased several old "Today's Secretary" magazines, one cover shown above, and we laughed how our jobs had changes over the years. Does anyone remember shorthand or know what a steno pad is? Also an interesting NYTimes article: "ABOUT MEN; A Male Secretary"
I have several of the old magazine and will post articles and photos from time-to-time. Good fantasy fun. Is being a secretary or working in a female dominated profession something you have done? Tell us about it?